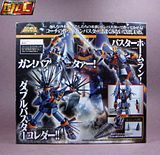 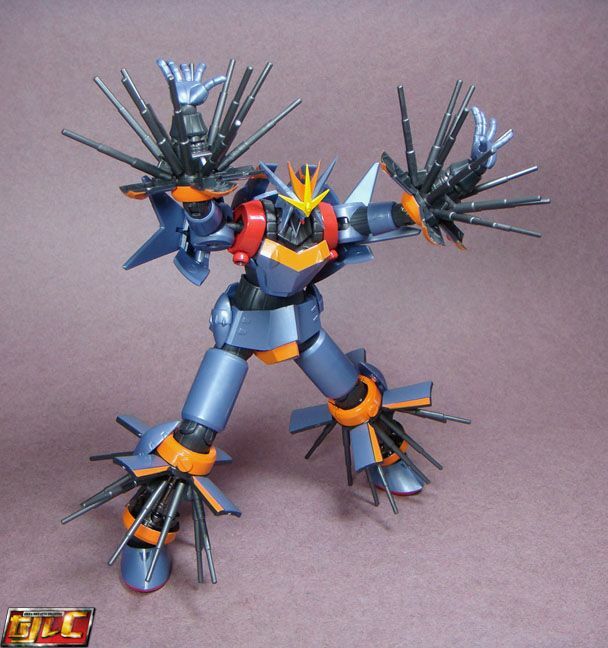 Hi, all, here's the review for the Super Robot Chogokin Gunbuster and Effort and Guts Weapons set. 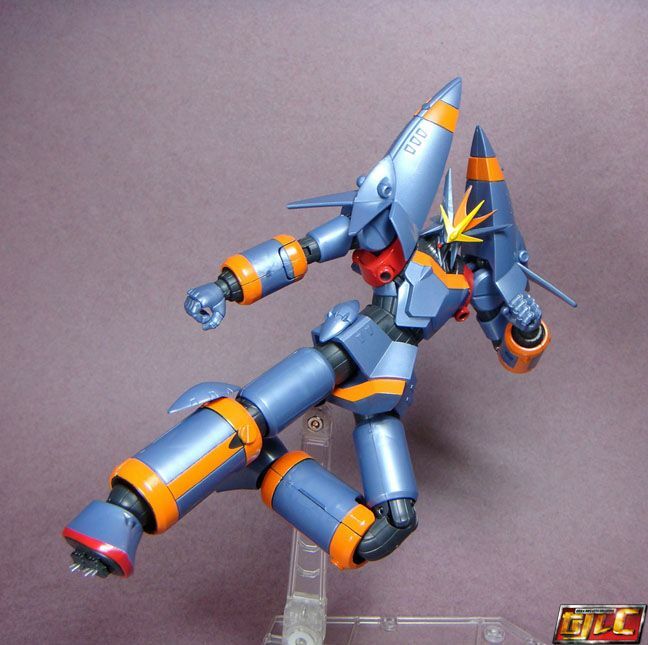 I’m glad the SRC can somewhat pull off the folded arms pose. 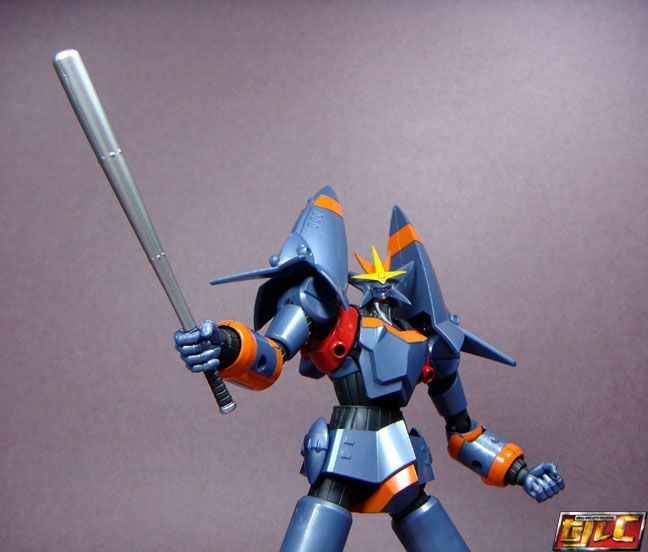 Buster Home Run (Did not appear in the cartoons, only in the radio dramas). 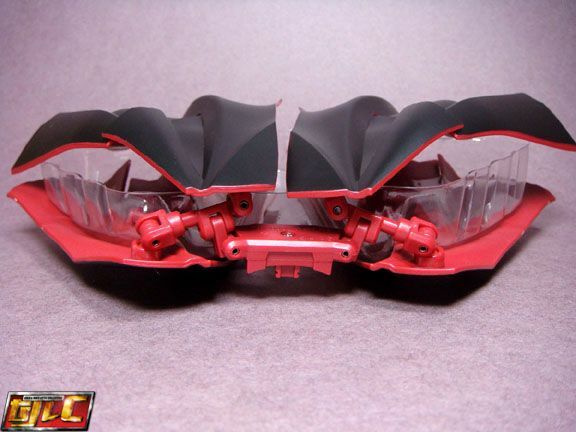 Parts swapping required (Painted parts go in the front panels). 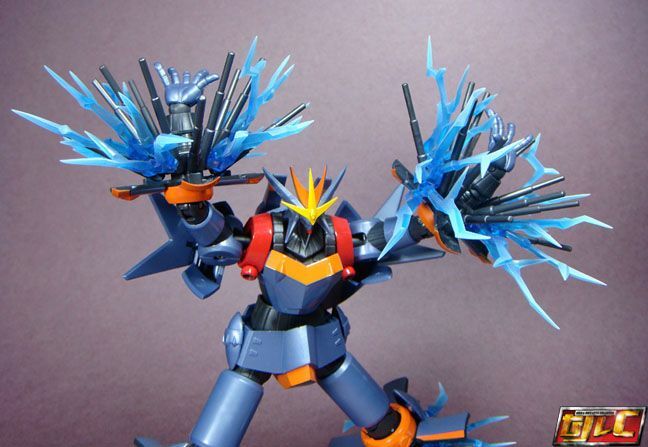 Be prepared to test the limits of your patience though, as the rods from the Colliders keep falling off. 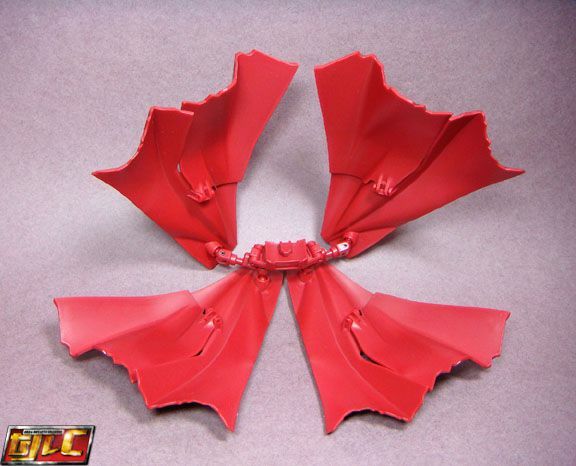 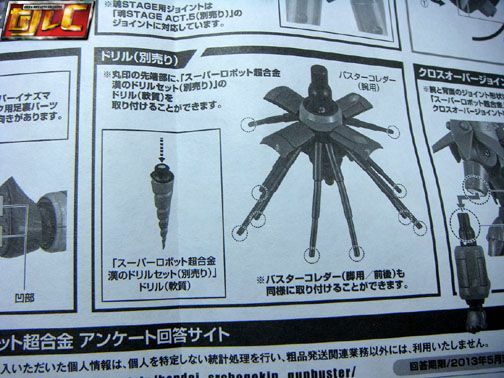 According to the manual, you can also attach the drills from the Gurren Lagann set to the buster Collider rods. 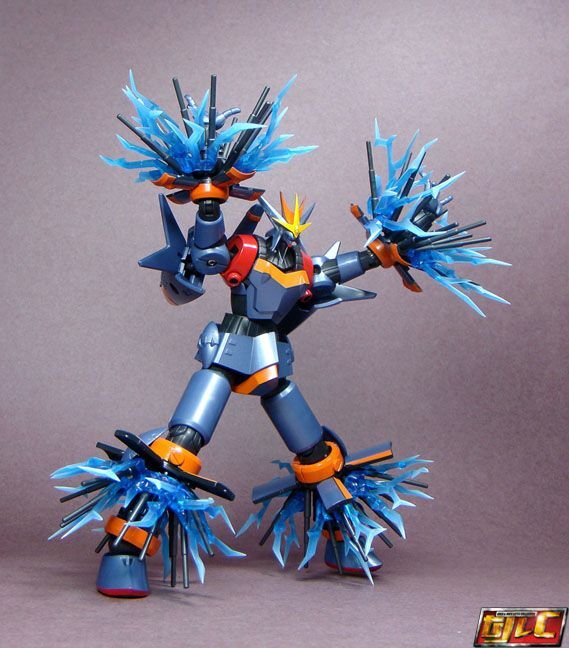 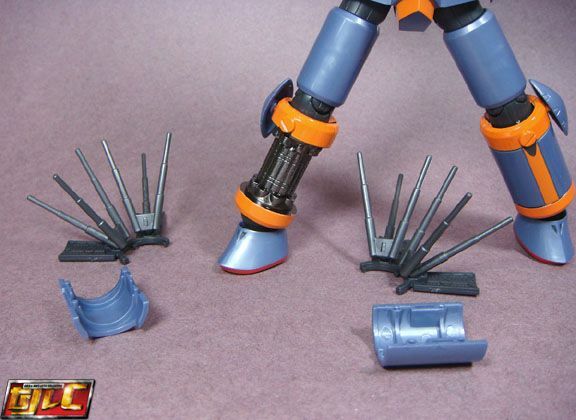 I passed on this, as my thumbs can still recall the pain from trying to attach the drills to Gurren Lagann. 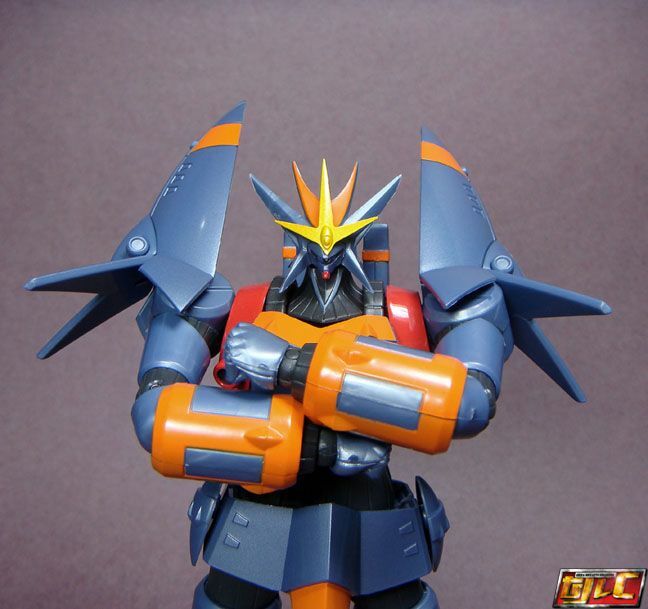 Chest plate can be swapped out. 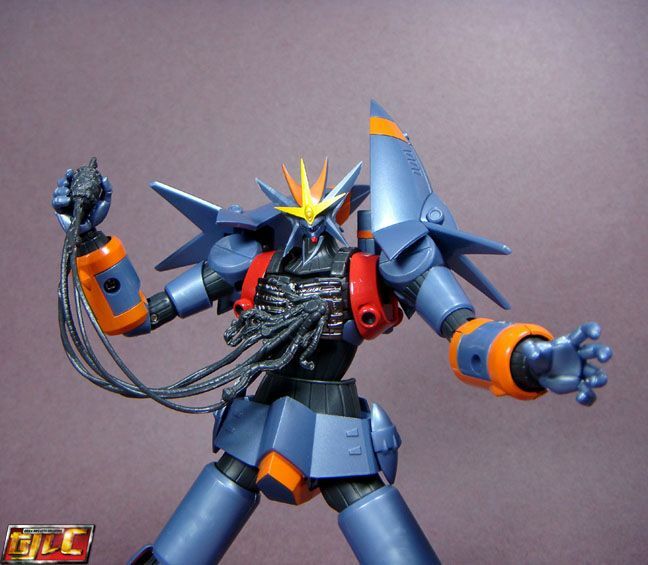 I dunno… maybe it’s the lack of paint apps on the cables or the core, but somehow, this gimmick just falls flat for me. 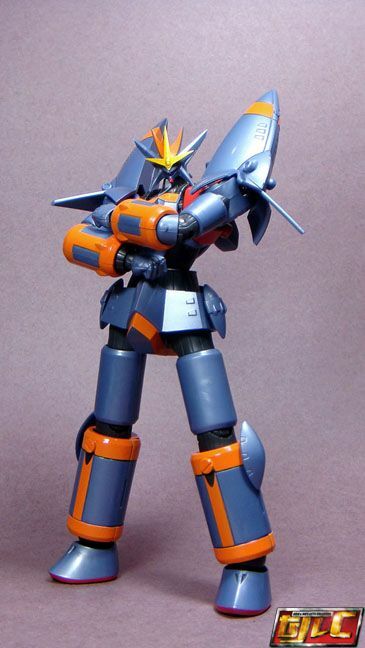 -Holds almost all poses flawlessly. 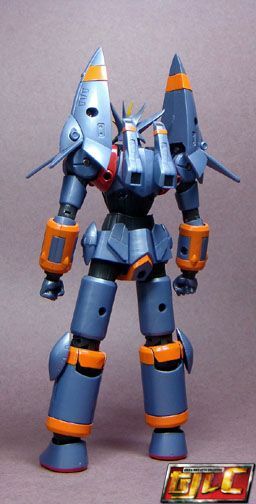 -Lack of paint apps on the core just makes it look too bland. 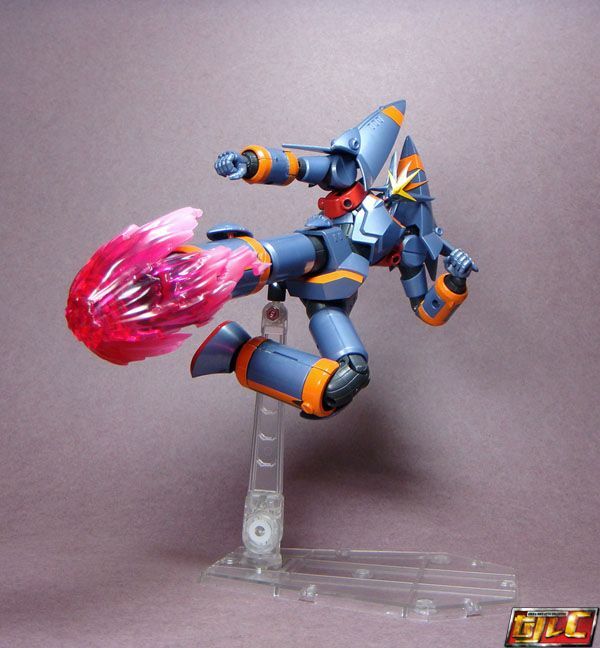 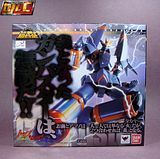 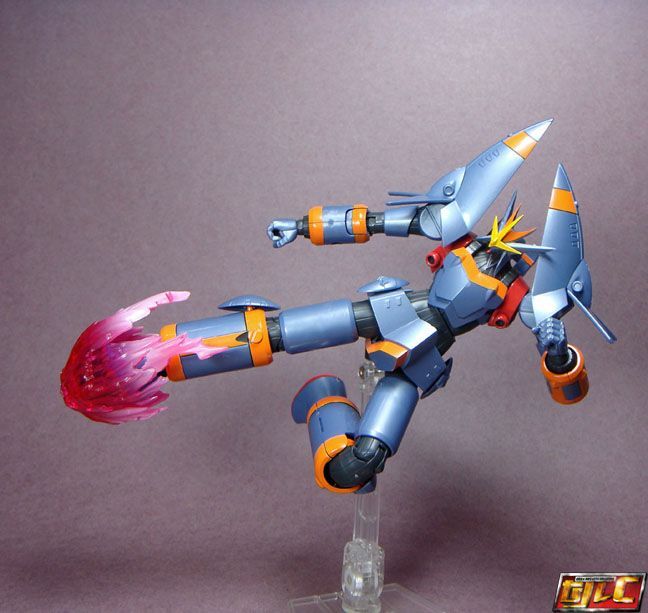 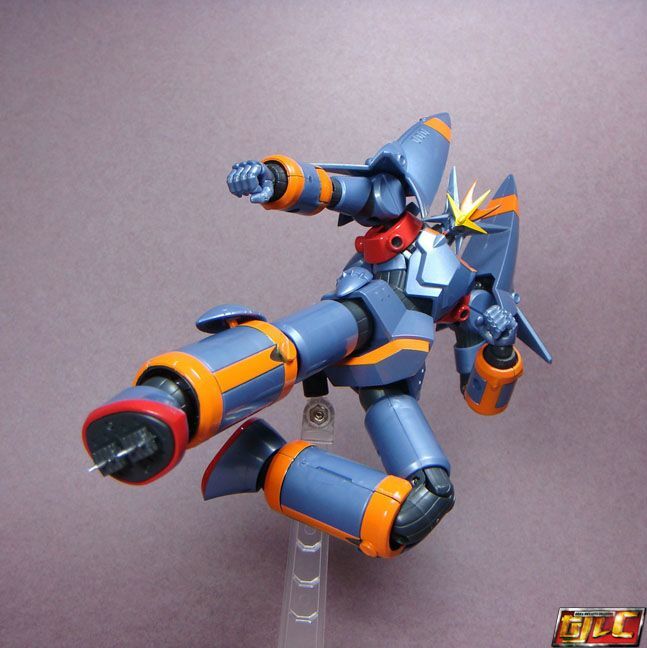 -Easily passable if you already have the SOC Gunbuster. 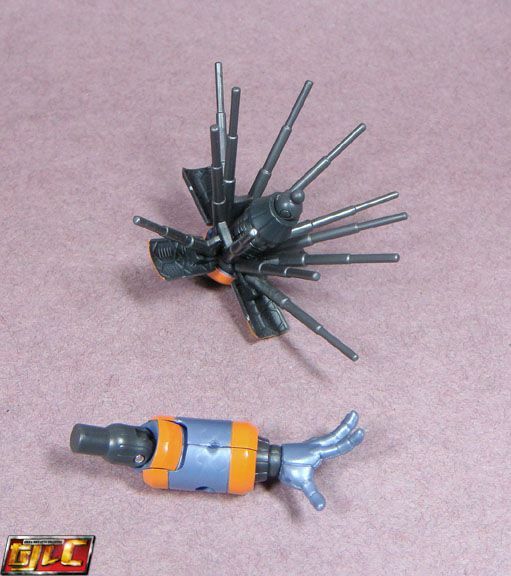 Those Double Buster Colliders… they keep falling all over the place. 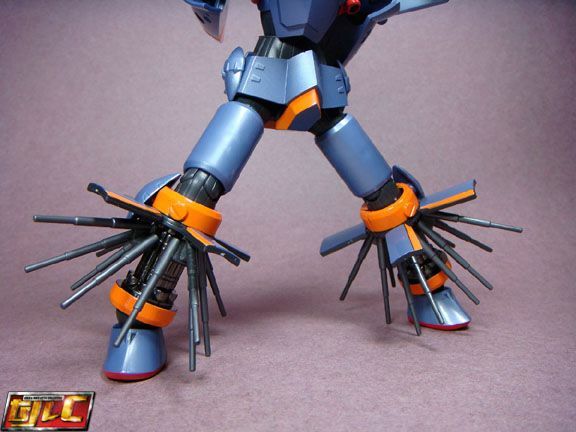 Extremely annoying (I cannot emphasize this enough). 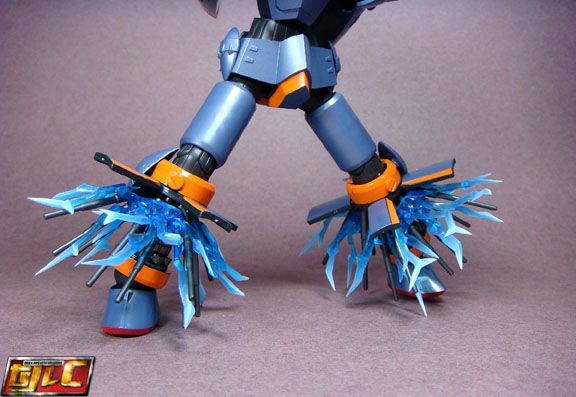 I can see the cost cutting measure here done by Bandai, to minimize costs by using the same molds for the arm and leg colliders, but it just comes out poorly executed. 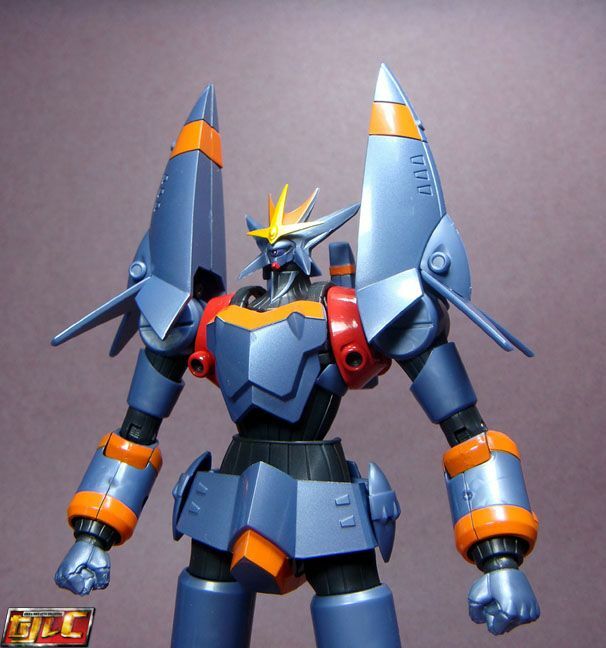 Overall, not bad, but not really something that I’d recommend one to buy, especially if one already has the SOC Gunbuster. 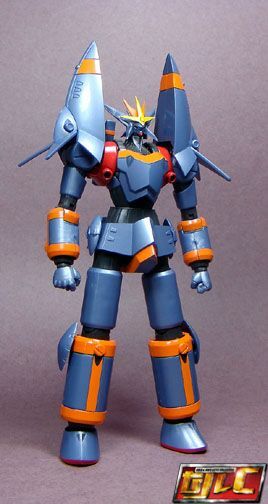 Lots more diecast, accessories, stand and impressive transformation and engineering?! 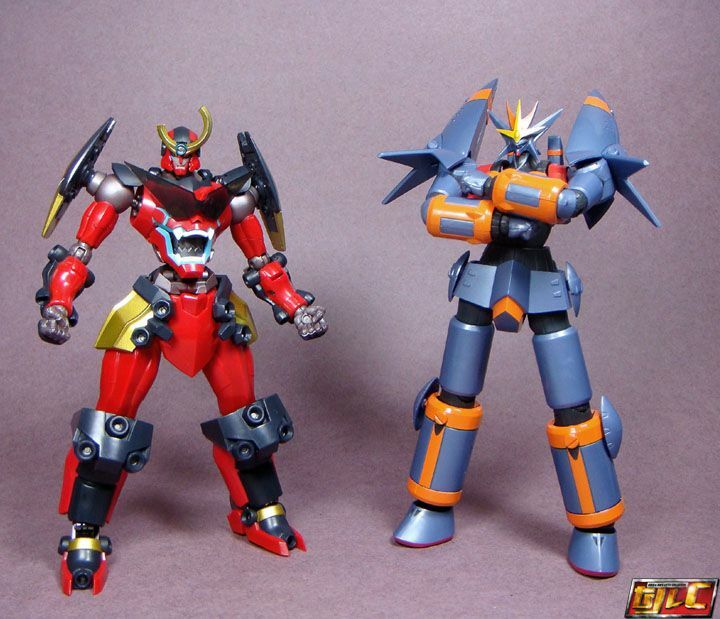 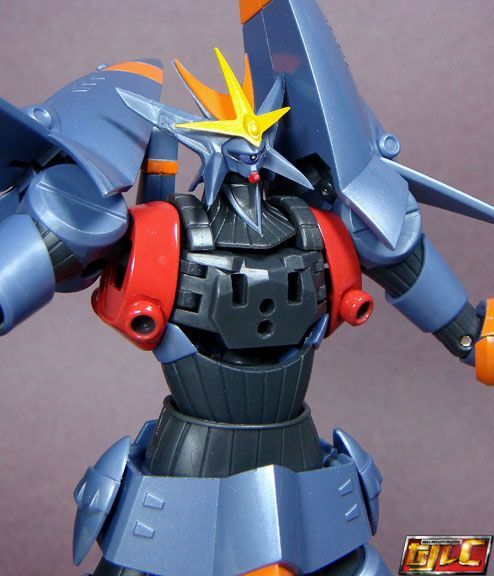 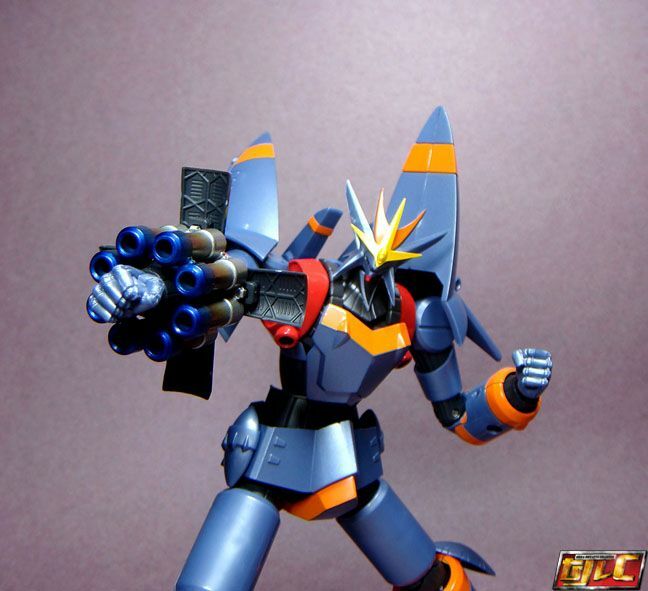 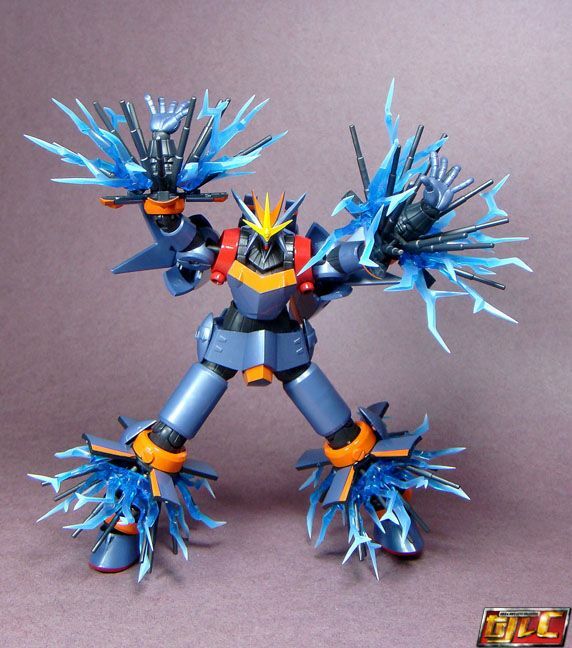 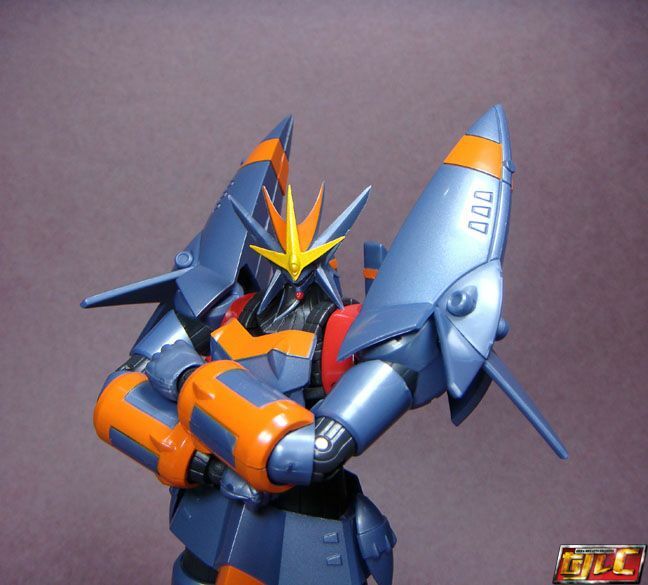 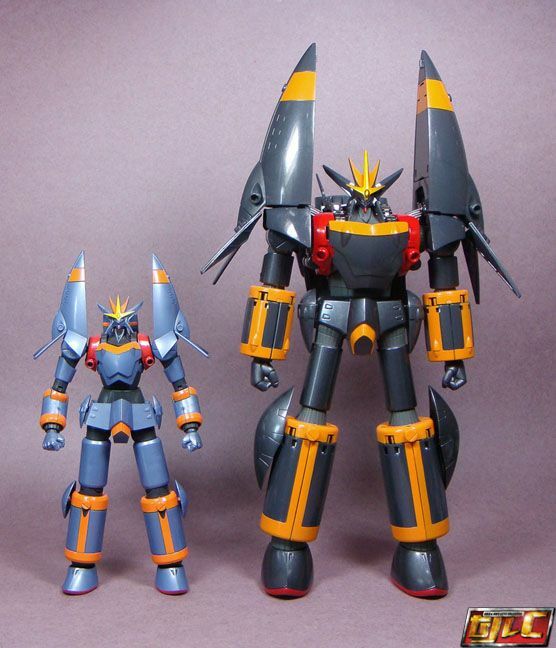 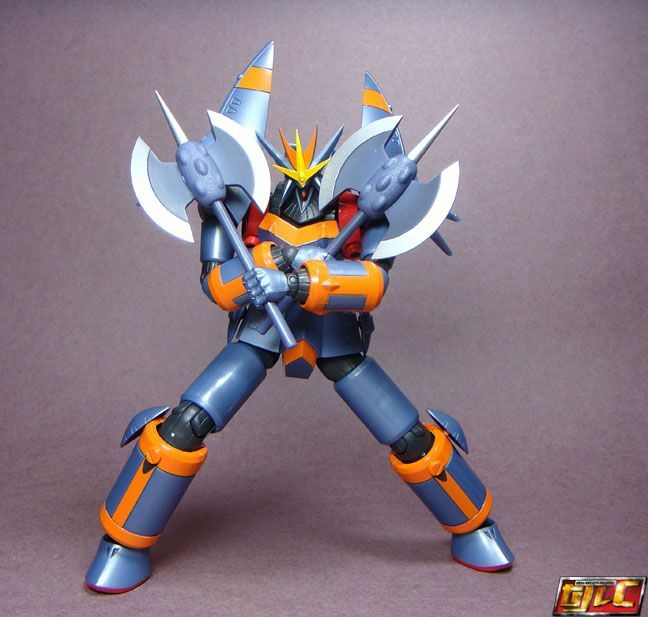 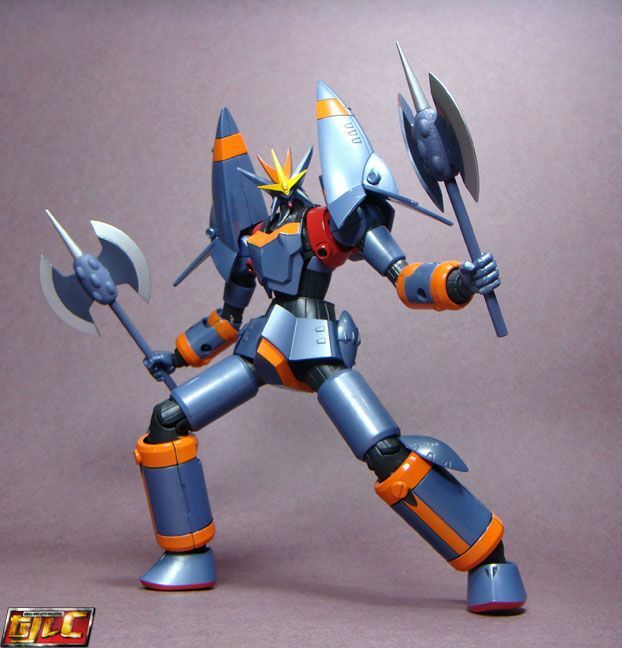 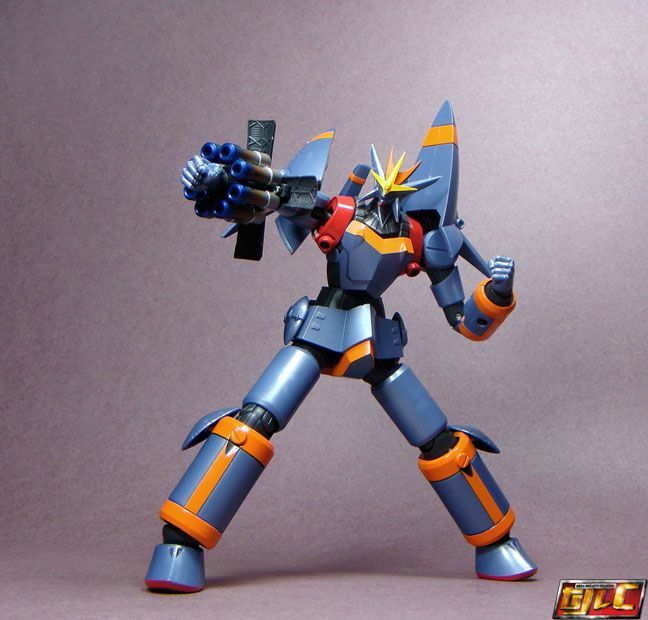 Considering how much the SRC Gunbuster costs including the weapons set, I think I’d rather get a second Gunbuster if the darn thing wasn’t so expensive now, as the combined cost of the SRC GB and the weapons set on the secondary markets is roughly close to how much the SOC GB retailed back in the day. 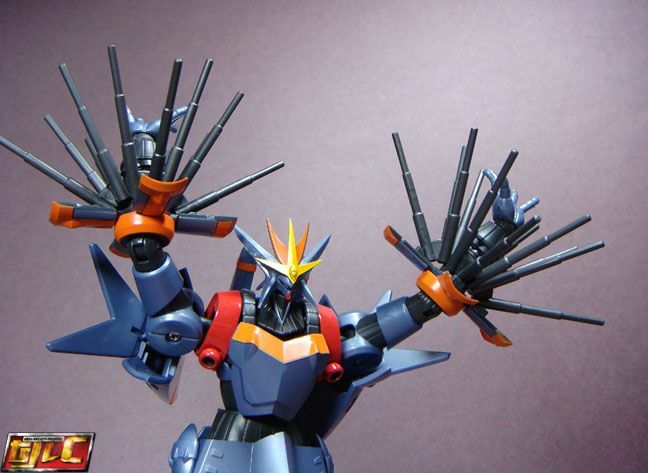 Shocking…. 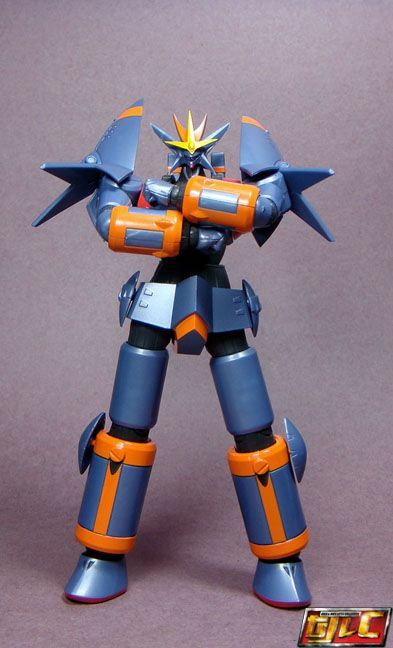 This is how the cape/Buster Shield should look when you’re returning the set back into the box. 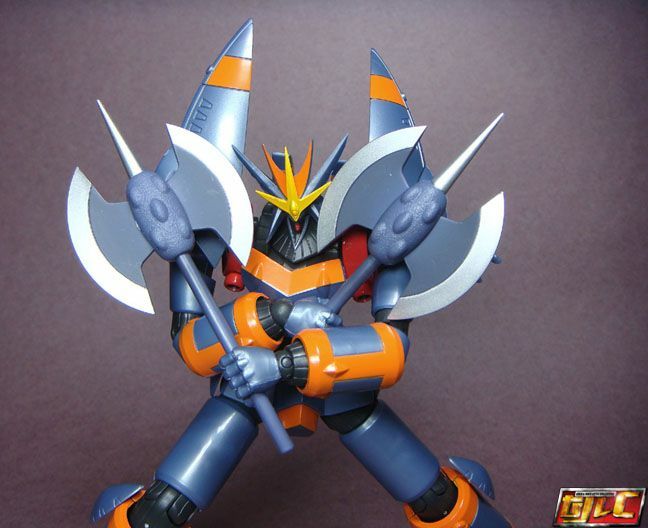 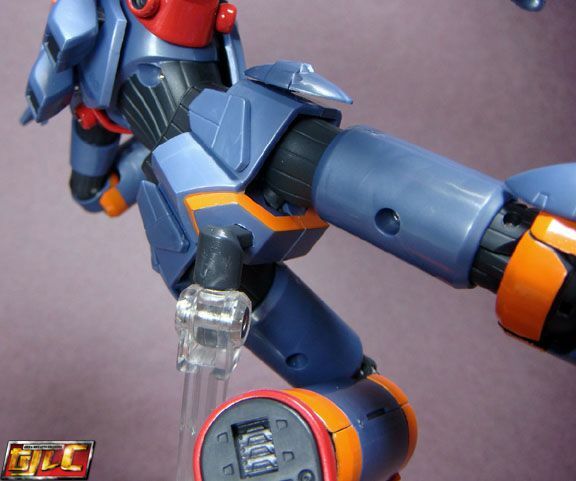 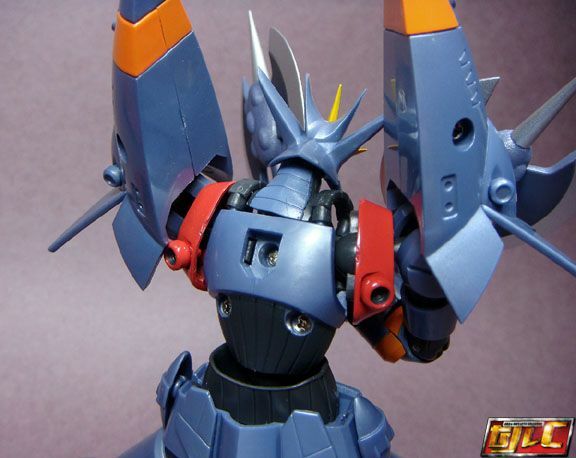 Gunbuster’s backpack can be removed to reveal the port for the Shield. 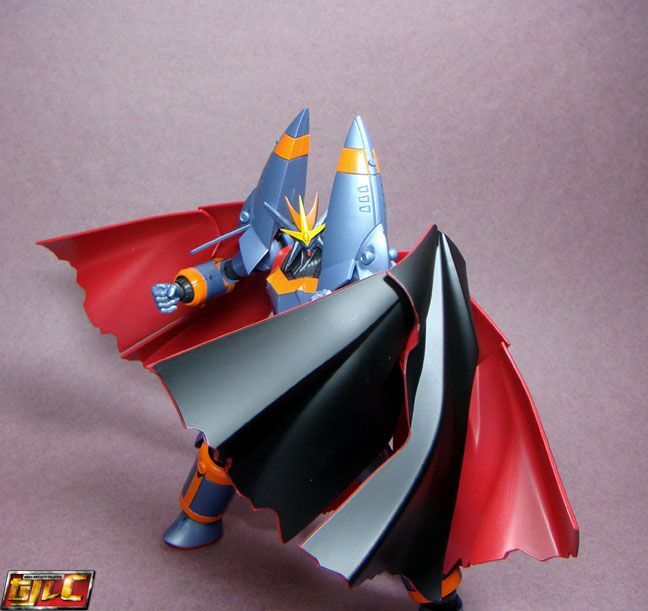 Be warned, attaching and removing the cape is a chore, as the connection is very, very tight. 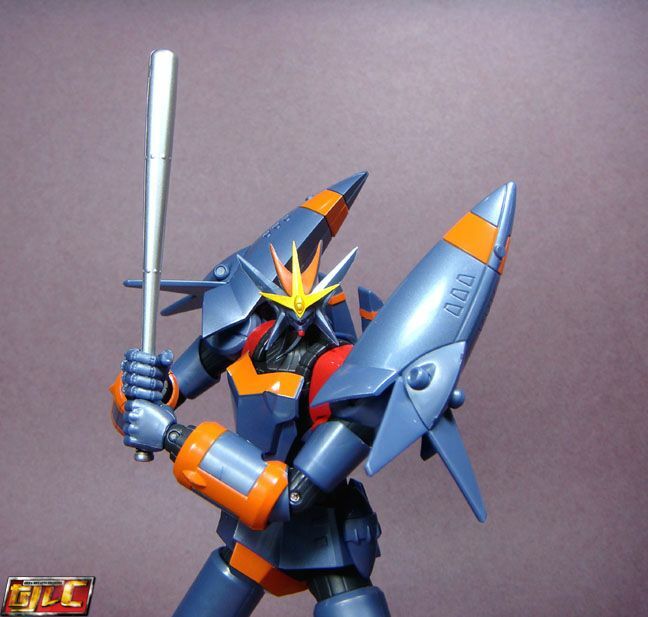 Buster Tomahawk. 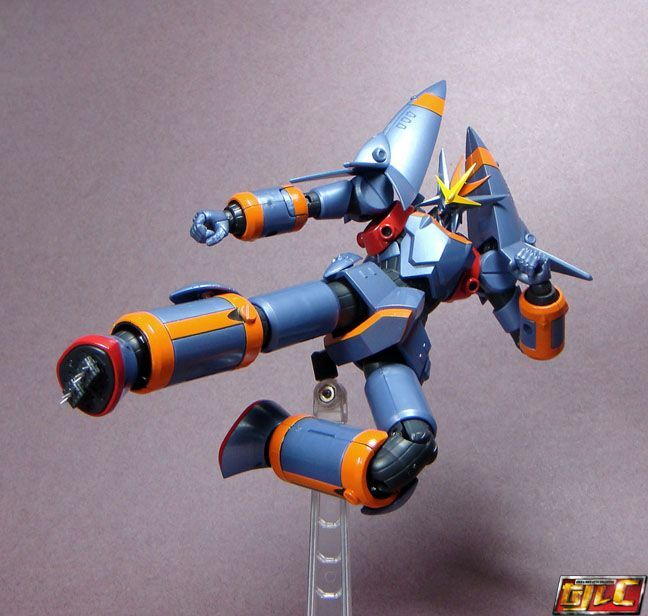 (did not appear in the cartoons, only in the radio dramas and SRW games). 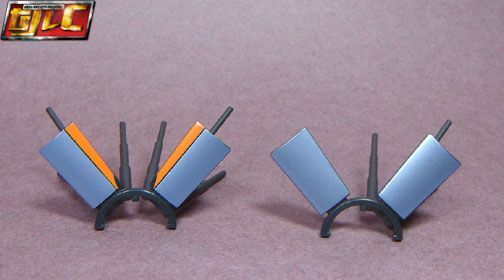 Double Buster Collider Effects parts – these can be tricky to attach, mainly due to the collider rods falling off so easily. 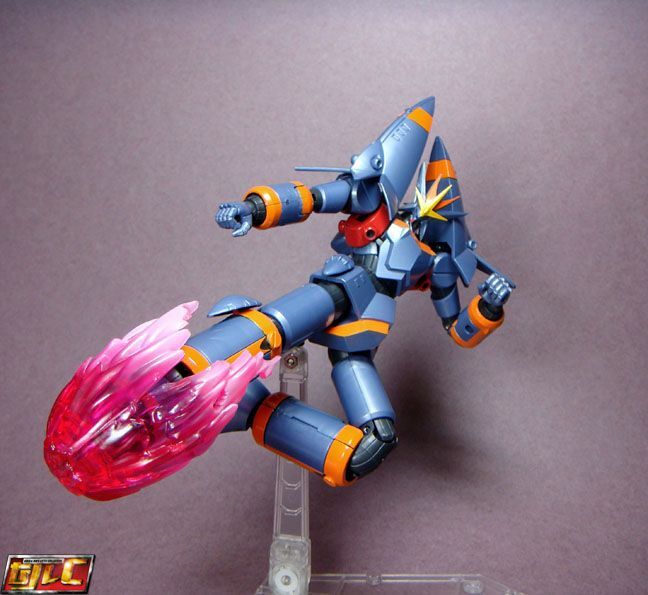 Super Inazuma Kick effects parts. 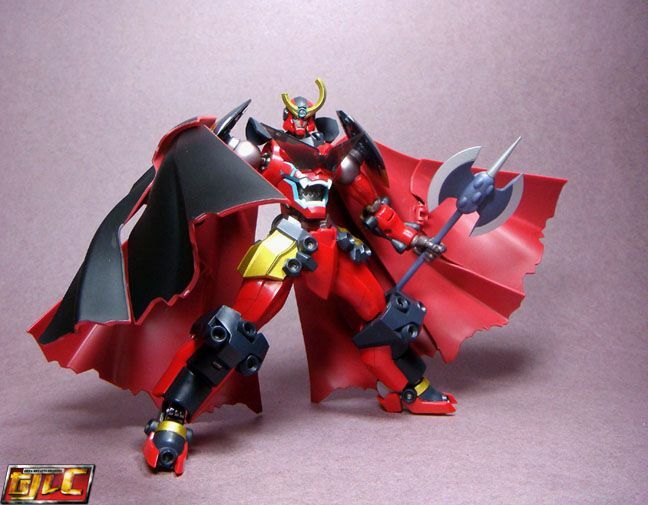 Warning : When attaching or removing the cape to Gurren lagann, remember to take off the shades on his chest. 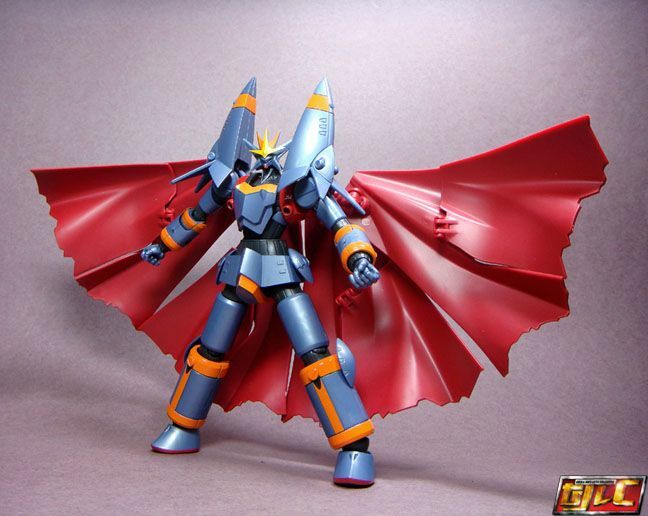 The cape’s connection is so tight, I must’ve pressed my thumb somewhere against the Gurren and now the shades show stress marks… sigh…. 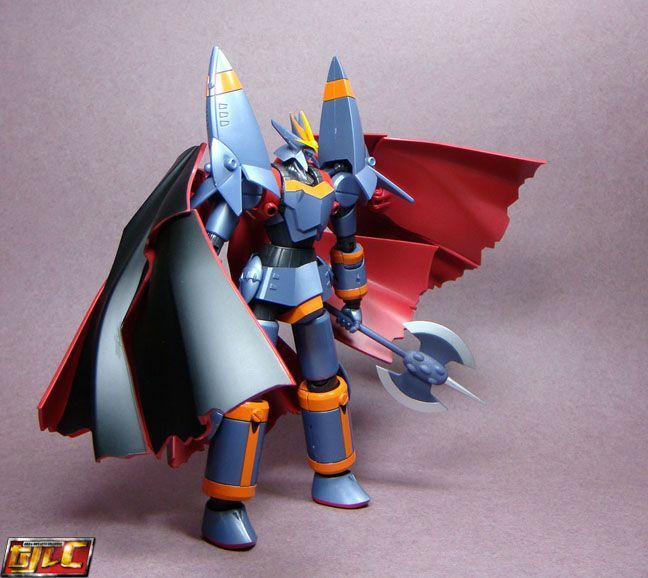 Overall, I’m not really feeling the $60 I paid for this, particularly when I think about the SRC Mazinger Weapons set costing only less than $20. 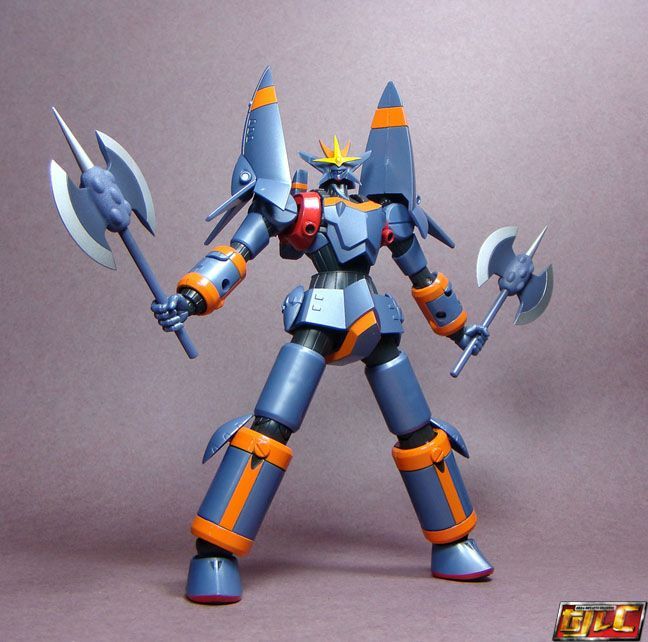 Also, is this set is very limited? 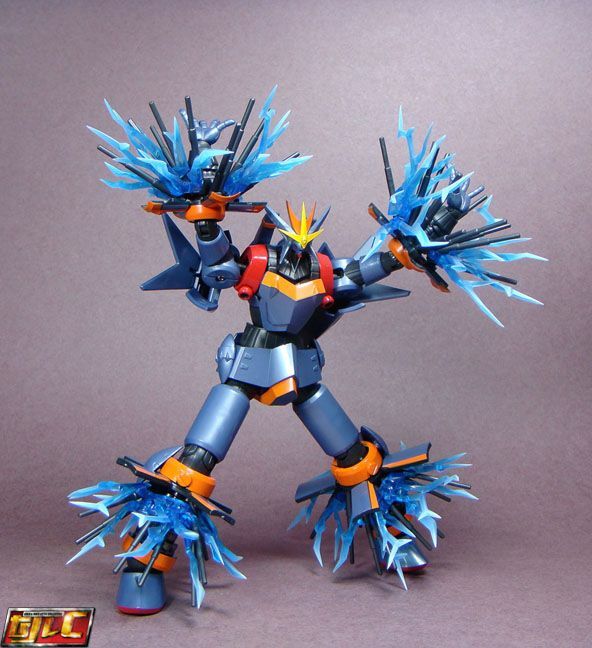 I just saw one or two listings on Ebay.